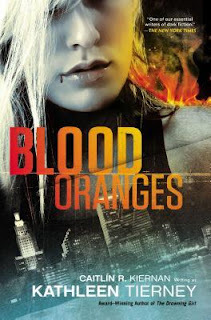 Blood Oranges, the latest book by Caitlin R. Kiernan is written under the nom de plume of Kathleen Tierney, and is a departure from the rest of her novels in that it's pretty straightforward. There's no evil slowly revealing itself from the shadows or underneath the earth. Here, the adversaries aren't prehistoric, but familiar monsters, demons, ghouls, trolls, werewolves, and vampires. 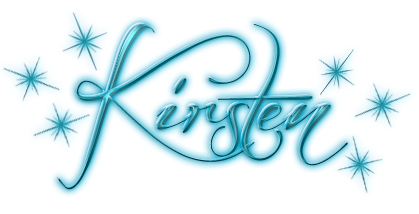 If urban fantasy and horror have tried to romanticize the undead, then Kiernan's protagonist, Quinn, kicks mud in the reader’s face, and then spits blood to make sure they get the point. In some ways, Blood Oranges is similar to The Five of Cups, an earlier novel of Kiernan's that can be summed up as being raw, nasty, and filled with unpleasant characters that happen to be vampires. Cups is rough, unpolished, and yet there is a certain ferocity to the voice of Quinn that hearkens back to Cups, and the monsters; both then and in Blood Oranges, feel much more honest than the way they’re portrayed in most media these days. What Kiernan does isn't an attempt to expand the genre of 'heroines who fight monsters but sleep with them too.' Instead, she's taken the sharp edge of her pen, and carved out a space, or reclaimed it for the kind of stories where these things aren't your prom dates, but creatures that will rip your throat out. There are a number of digs against popular vampire books and movies which will make readers laugh, and all the characters have their own flaws that sometimes overtake them, or, in other cases, end up saving their lives. The protagonist, Quinn is a mess; a junky, a young woman who hunts monsters, more or less by accident, and has no special powers. But then there's a series of not-so-accidental- events, and she has to figure out where she stands, and who's behind what's happened to her. Of course, because this isn’t a pretty little story with a sweet heroine, or even one that is trying to improve her life, nothing is simple. Quinn swears, does drugs, might have a couple friends, and often inadvertently gets others killed or hurt in the course of finding answers. The fact is, she doesn’t have any leverage, and her planning skills could use a little tutoring, but all she’s doing is attempting to stay alive, and if she’s gotten this far, there’s a chance she might not die horribly. But then again, there are no guarantees. Blood Oranges is a quick read, and will please anybody who was ready to stake all vampires out for the sun as a reflex.